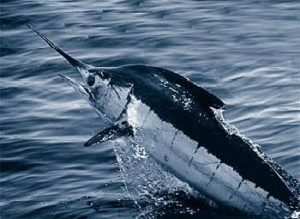 Billfish species including blue and white marlin, sailfish and spearfish contribute to economies, livelihoods and food security within Caribbean nations. These contributions occur in differing proportions through two very distinct fishery sectors – commercial and recreational. Billfish are also important incidental by-catch species within large scale commercial tuna fisheries operating both within and beyond national jurisdictions. Billfish, as top predators of pelagic food webs, are naturally susceptible to trophic bio-accumulation of mercury (Hg), in particular methyl mercury (MeHg), within their body tissues. Methyl mercury is the most abundant and toxic Hg species bio-accumulated by aquatic organisms and biomagnified through food chain mechanisms. To assess the potential risk of consuming billfish, the Caribbean Billfish Project – sub-project of the GEF-funded, World Bank implemented, Common Oceans ABNJ Ocean Partnerships Project of the Food and Agriculture Organization of the United Nations (UN-FAO) – launched the present study. The study was commissioned by Conservation International, the CBP´s executing agency, to the Italian firm Alveo Scrl. 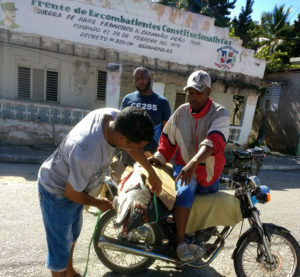 Alveo consultants, through collaborative efforts of local officials, cooperatives and fishing groups, collected tissue samples from 41 sailfish, 63 blue marlin and 44 white marlin in the Caribbean islands of Grenada and Santo Domingo, where they also interviewed more than 700 billfish consumers. By the end of January, all samples had been transported to Alveo´s scientific partner, Istituto Zooprofilattico Sperimentale delle Venezie (IZSVe), to be analyzed and to assess the risk for the Caribbean consumers. Upcoming results from the study will contribute to the overall understanding of the mercury bioaccumulation in billfish landed in the Western and Central Atlantic region and could encourage not only the consumption of alternative sources of protein, but also a more sustainable fishing approach.